Ring the alarm!! 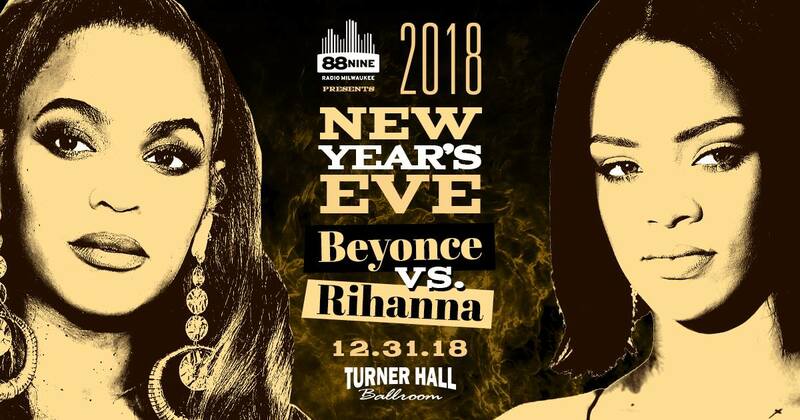 It’s the biggest dance party in the city on New Year’s Eve…Beyonce vs. Rihanna is coming to Turner Hall and we’re gonna dance like diamonds in the sky! 2018 can take a bow. Ring in 2019 with love on top. DJ Frank Straka is at the decks for a night exclusively devoted to the music of these two iconic divas.